Elizabeth Warren says: "It's time for Democrats to grow a backbone and to get out there and fight." 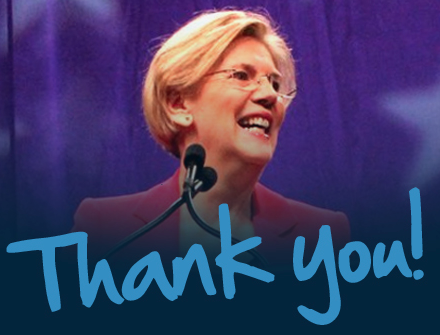 Watch Elizabeth Warren's speech at the Progressive Congress strategy summit. Warren says, "We need to make very clear that we, as progressives, as Democrats, as Americans, stand for a BOLD PROGRESSIVE agenda." Can you donate $3 to the Progressive Action PAC and the PCCC to help us push the Democratic Party to fight Trump with backbone? You can donate on this page or by mail here.